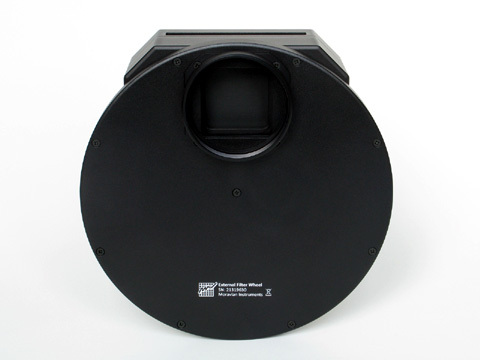 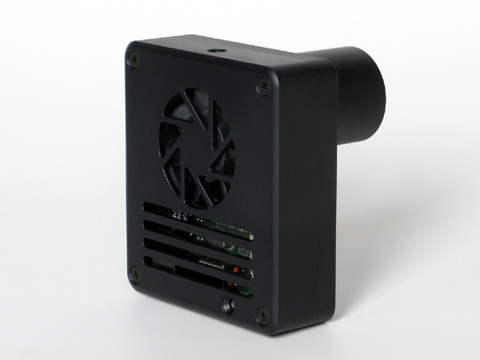 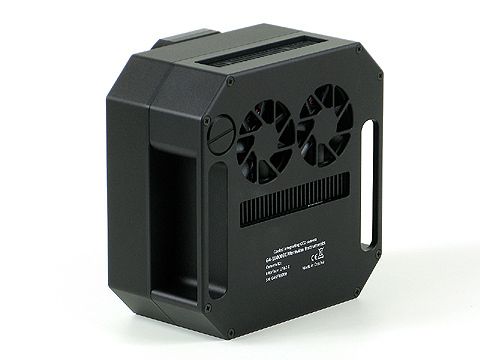 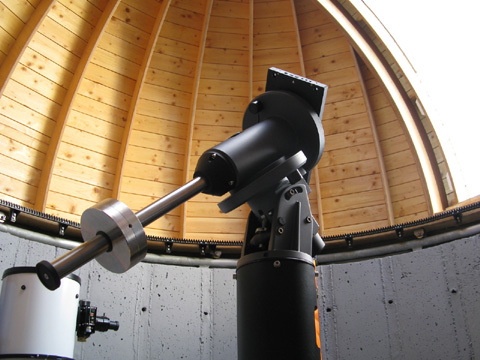 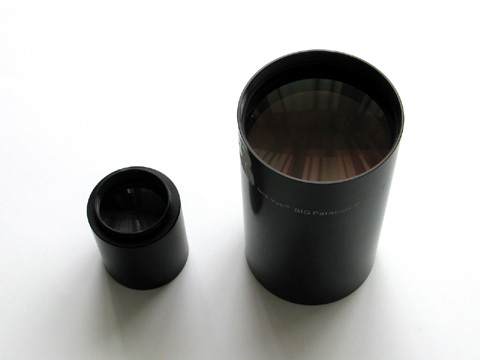 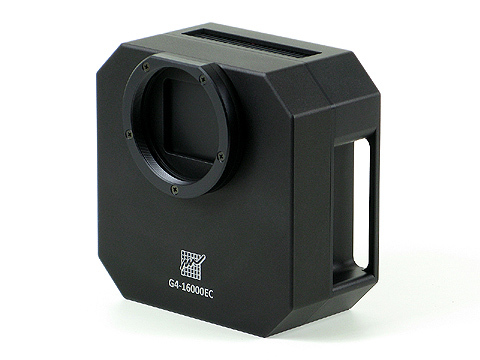 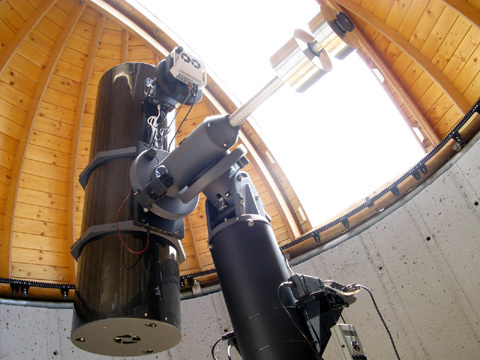 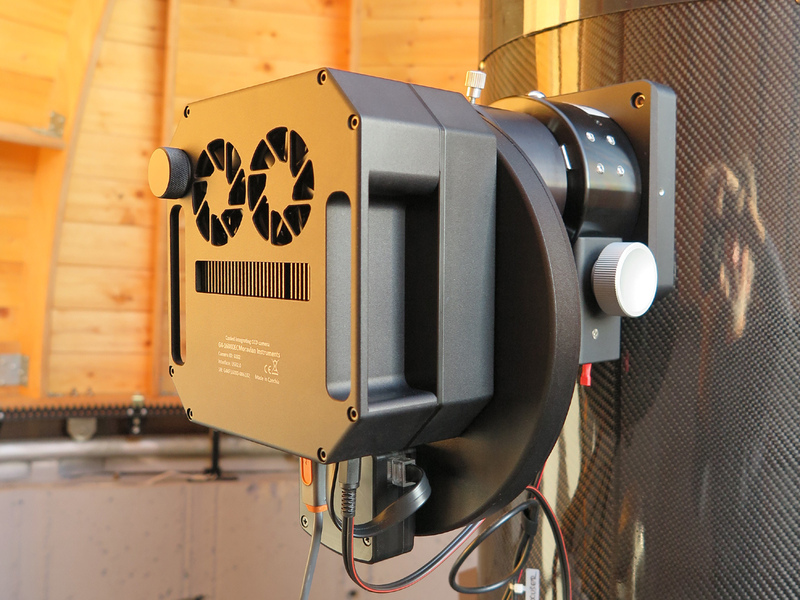 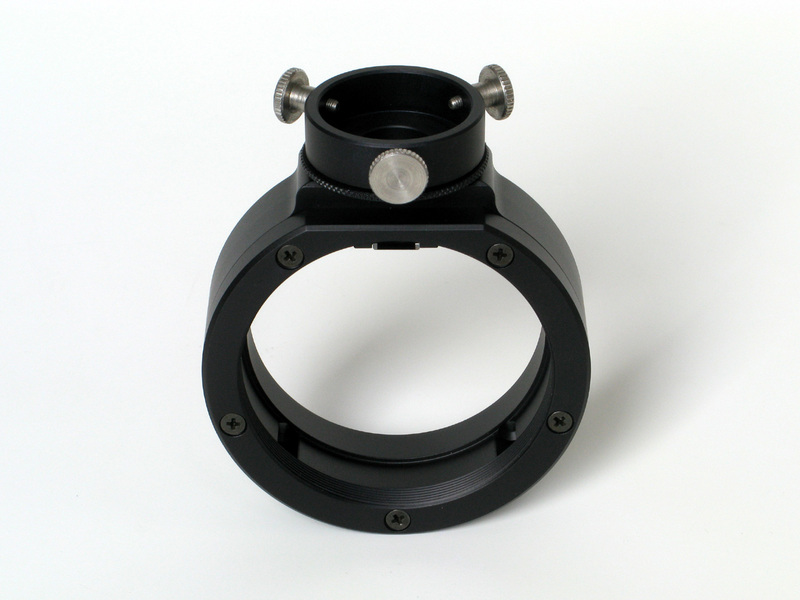 The telescope is designed to cover 50mm diameter field of view with minimal vignetting to achieve greatest possible field of view with better than 1.5"/px sampling. 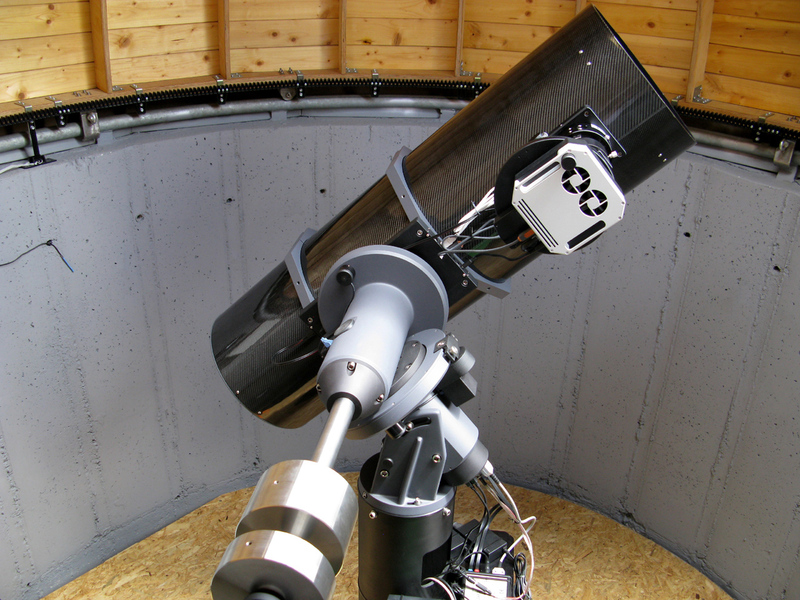 The mount, designed and built by M. Myslivec, can track for several minutes without guiding with seeing-limited precision. Despite the KAF-16803 is equipped with ABG, sensor linearity is perfect up to ~60 000 ADU. 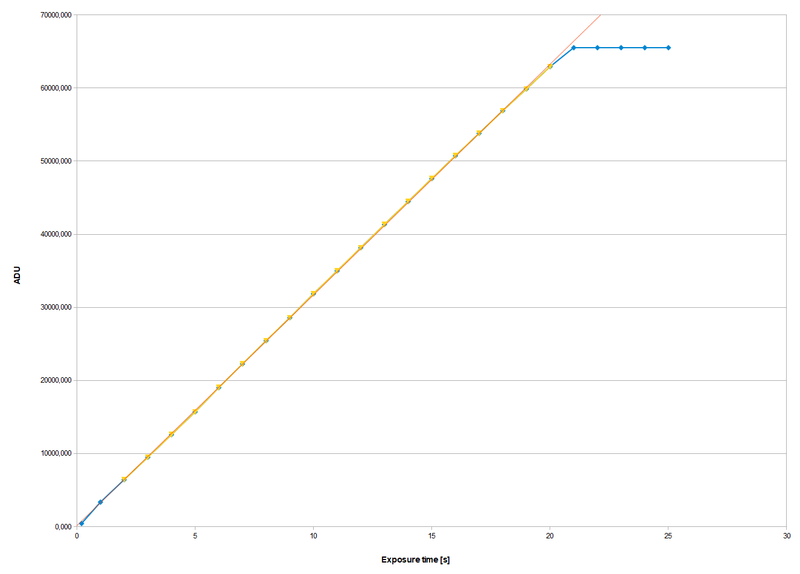 BIG Paracorr on the right, 2-inch Paracorr with T-thread (M42x0.75) interface on the left for comparison.